Plans for new homes which attracted scores of objections will not be decided upon until councillors have visited the site. 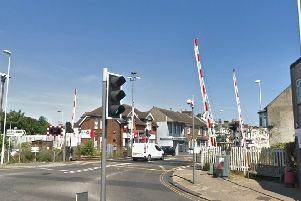 Plans for four three-bedroom homes on land east of Manor Close, Southwick, on the border with Portslade, were deferred by Adur District Council’s planning committee on Monday night. The site, which was described by some members as ‘weird’ and ‘a big old mess’, is on the eastern edge of West Sussex, on its border with Brighton & Hove. Access caused the most concern for committee members, who asked if emergency and refuse vehicles would be able to get in and out of the site easily. There is currently no vehicle access to the site, with the access proposed to be via Gardener Street, Portslade. David Simmons (Con, Hillside) asked if the emergency services had been consulted on the application. He said: “Bearing in mind it is landlocked and there are real problems in Brighton with narrow roads and parking in getting the larger appliances down the streets in case of emergencies, while they can sometimes run out hoses, this of course adds another length to that. Describing the parking situation as a ‘shambles’ which would ‘only cause problems for emergency access’, Mr Simmons said clarification was needed from the fire service on whether it was happy with the development. Another question related to the collection of rubbish from the new homes. It was a point echoed by the council’s waste services officer, who asked if Adur would be expected to pay Brighton & Hove for the work. The council received dozens of objections to the plan, including a petition signed by more than 50 people, with concerns including safety, traffic, over-development and the impact on wildlife. The land is home to slow worms, which the planning committee was told would be trapped and moved to another site. The application will go before the committee again once the site visit has been carried out.